Why Is Monitoring the Amount of Moisture in a Steam System So Critically Important? 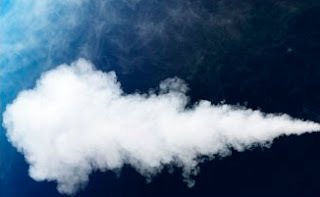 Wet steam is a costly problem across many industries. It causes product quality issues with batch rejection, wet packs and wet loads in sterilizers. Wet culinary steam can make food grade quality of product impossible. Carbon dioxide in a system with wet steam creates carbonic acid that damages pipes. A slug of water causes water hammering, which is destructive and can be deadly. Wet steam causes many flowmeters to be inaccurate, so that if you buy steam from a third party, you may be paying for water rather than steam. Water abrades like sand in a steam pipe and will erode pipes, elbows, valves and other components. Wet steam reduces heat transfer. Wet steam can damage turbines. And wet steam causes thermal stress as condensate cools down. In fact, steam quality typically refers to the amount of water in the steam, which is also known as dryness fraction. Saturated steam is a mixture of steam and water. The water is often in the form of un-vaporized micro droplets. Dryness fraction is a ratio. The mass of the steam to the mass of the biphasic mixture of water and steam. Part of the difficulty in measuring the steam dryness fraction is that steam systems are dynamic. The steams is moving through the components and conditions change second-by-second. Within this complex system there are many things that contribute to water in the steam. For example, the bursting bubbles from the surface of the boiling water expels small droplets into the flow of steam. Or if there is a sudden increase in demand for steam that reduces pressure above the water, lowering the boiling point and increasing the violence of bubbling. This is sometimes called priming or carryover. Other forms of carryover include water in the system, because the water level in the boiler is too high. Or high concentrations of impurities in the boiler water that reduce the surface tension and so increase the agitation of the water surface. Impurities can also cause the formation of a stable foam above the water surface. This foam causes slugs of water to be intermittently discharged from the boiler along with the steam. Even poor insulation in pipes and valves leads to water in the steam as heat is lost and steam condenses. A steam trap might fail closed, particularly at the bottom of a separator, increasing the amount of condensate in the pipes. The design of steam pipe work and steam traps may be inadequate to handle condensate, or a steam separator may be defective. Any of these things individually or in combination can cause a problem with dryness fraction. Monitoring the dryness fraction of steam has long been a manual process, time-consuming, inconsistent, unreliable, and presents inherent safety and accuracy risks. Control of your steam quality depends on having consistent, accurate, timely information, and that's where the Armstrong Steam QM-1 comes in. 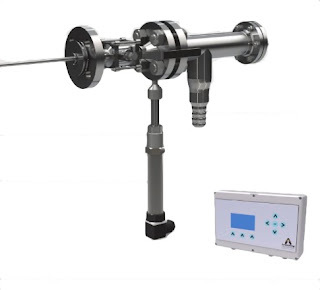 The Armstrong steam quality monitor steam QM1 provides you with data logging and remote monitoring capabilities. The Steam QM-1 monitors and measures dryness fraction and alerts you of steam quality problems. The video below explains how. For more information contact Mead O'Brien by visiting https://meadobrien.com or by calling (800) 892-2769.